The Life Cube Project was recently featured in an article on VentureBeat.com, which discussed Burning Man and its allure to the tech elite who attend. Zappos CEO Tony Hsieh has brought Burning Man art and events to his $300 million makeover of downtown Las Vegas. 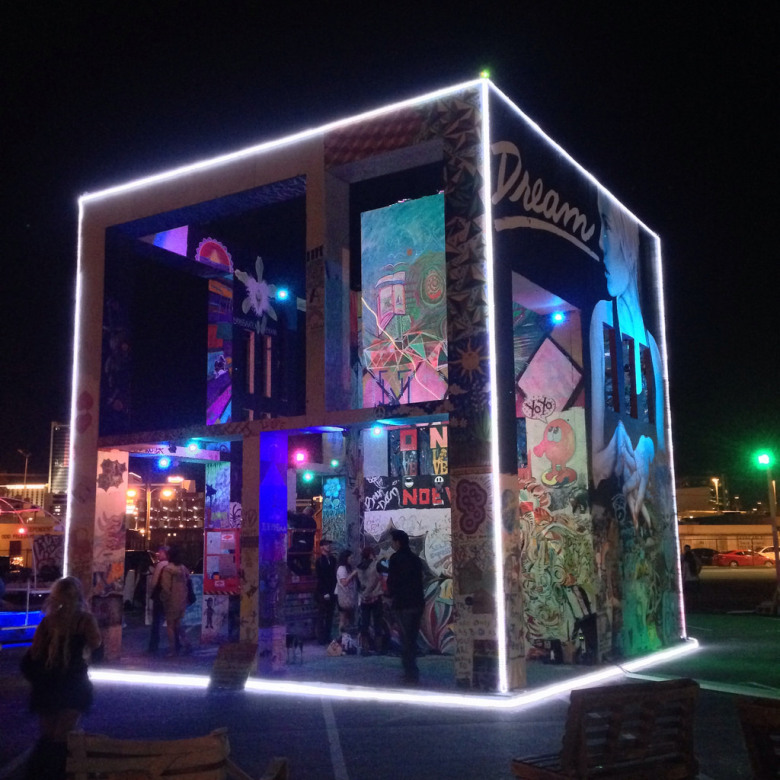 His organization, which aims to make the rundown downtown into a tech hub, supported a giant art sculpture, the Life Cube (pictured above), which was covered in art from the local community — then burned in a giant rave celebration. This entry was posted in ENVISION: The Life Cube, Pictures & Videos, Press, The Life Cube Project and tagged #thelifecubeproject, art, Burning Man, burning man 2014, Burningman, burningman 2014, Las Vegas, lasvegas, life cube, lifecube, LV, tech, technology, The Life Cube, the life cube project, TheLifeCube, tony hsieh, vegas, venture beat, venturebeat, zappos. Bookmark the permalink.